What’s “ALL the BUZZ” about ? Plus … see DIRECTIONS and PARKING INFO, below! This new meeting home for the Cheshiremen Chorus affords us the opportunity to meet, sing and rehearse weekly, now back on our risers! It’s in an acoustically superior room, with all the accoutrements we’ve been missing for so many years, plus some new, exciting opportunities. 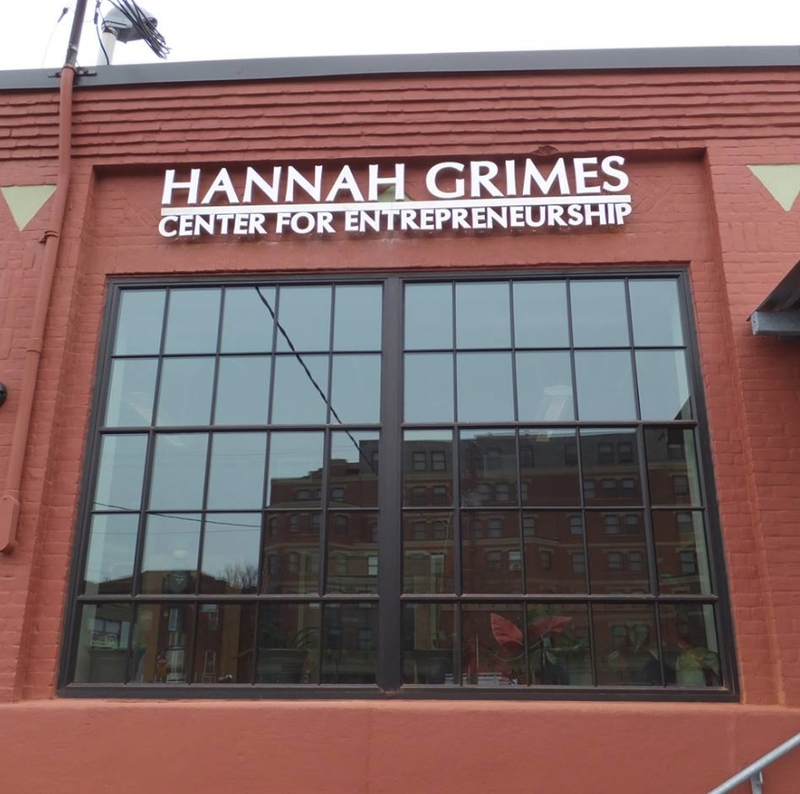 What Is Hannah Grimes Center? 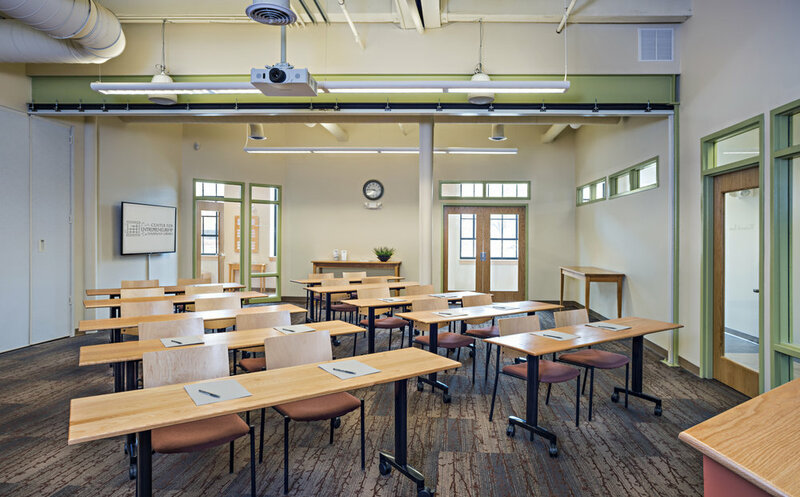 HGC provides the space, tools, and connections that innovative entrepreneurs need to build strong businesses, thriving local economies and vibrant communities in the Monadnock Region. Select <<HERE>> to learn more! 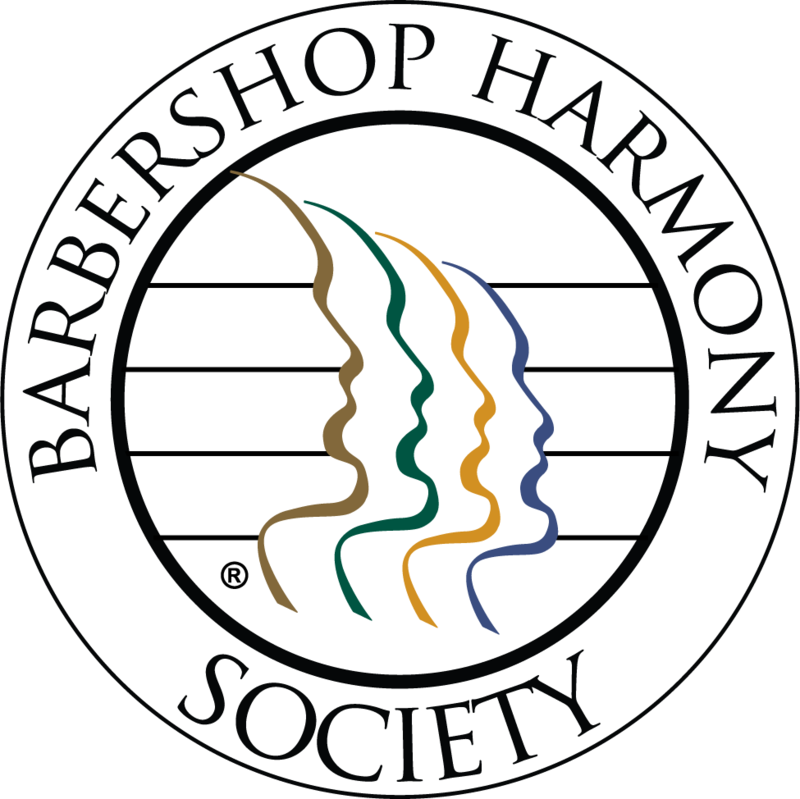 Explore the world of barbershop harmony TODAY! Barbershop harmony is music that’s easy, fun, and anyone can sing it! You Can Sing Too! Come join us in a song or two ... or just listen for a while! No pressure! No secret handshake required! REAR ENTRANCE - wells street lot - off wells street & church street - and the wells street garage. 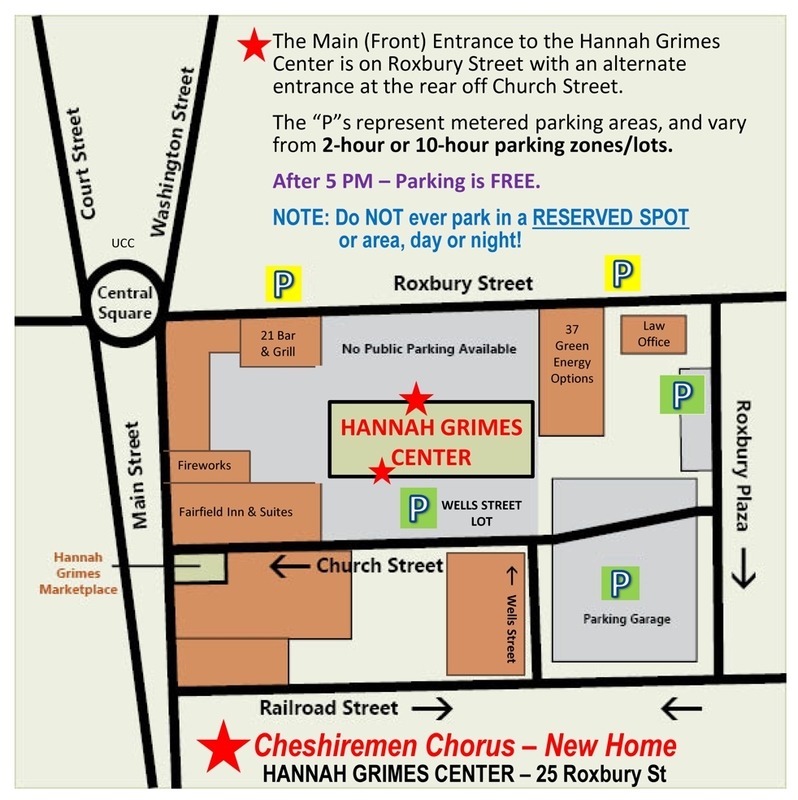 The TWO building entrances allow TWO different ways of arriving at the Hannah Grimes Center. Both work. Members should NOT park in the FRONT lot at 25 Roxbury Street. Reserved spaces there are for tenants of all the area businesses. For us, it’s for OUR GUESTS ONLY! Metered spaces right on Roxbury Plaza drive, as you enter, on the way to the Garage. Garage METERED spaces only, lower level. Go THROUGH the garage, park in the Wells Street lot. Street parking can work, too. Note: Map shows the ONE-WAY direction of some streets! NOTE: Parking is FREE after 5:00 PM! So - don’t pay! Again - do not park in any space marked RESERVED! Day or Night! A RESERVED SPACE may be leased/reserved during BOTH time periods! You may be ticketed, or towed, if you park in a RESERVED spot! Even after 5:00 PM. At right/next - just shows the TWO routes to arriving, as above - coming up Main Street.